Ontario Premier Doug Ford recently announced the possibility of removing caps on classroom sizes for kindergarten and primary grades. The education consultations that took place brought into question whether caps on kindergarten and grades one to three should continue or not. The research in defence of the removing of class size caps questions whether class size has a significant enough impact on student success. Some also suggest that if funding is used to develop curriculum and hire better teachers, then class size doesn’t matter. The current cap on kindergarten classes is 29 students, and 23 students for the primary grades. A lot of fear has been expressed by educators, as removing classroom size caps seems to be another sign of Doug Ford’s cuts to education funding in Ontario. This follows the cuts to post-secondary campus funding across Ontario by Ford in October. Laurier’s Milton satellite campus was among the three schools to stop receiving funding. The notion that hiring better teachers will balance the larger class sizes seems to be contradicting what the Ford government is currently asking schools to do. At the same time that they are proposing class size caps be removed, the Ford government has also made an announcement warning schools against hiring for the upcoming school year. Deputy education minister Nancy Naylor commented on the upcoming budget changes, and warned schools that they should “exercise prudence in making hiring decisions.” She added that schools should refrain from filling roles for retirements and teacher leaves. The suggestion that schools should refrain from hiring is only temporary while the education consultations get sorted out, but realistically, if teacher roles aren’t being filled for long-term, this could easily lead to teacher burnout and poorer classroom experiences for students. It almost doesn’t seem worth it to me to mention that if students — especially in primary grades — don’t receive enough focused and individualized educations, then their success will suffer. 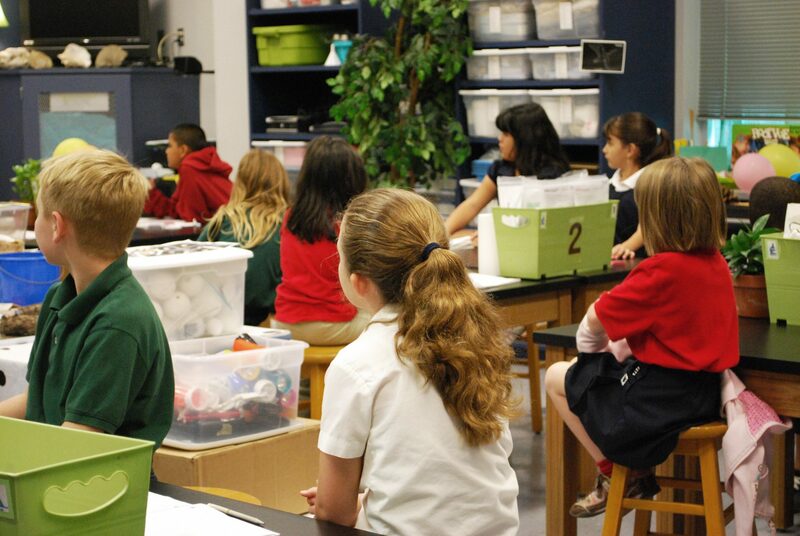 There’s a reason small class sizes are a benefit of private schools. Although they cost a lot of money, people put their children in them because they feel as though the individualized learning will help them in the long run. Success in children’s formative years is often an indicator of success later on. Ford’s cuts seem short-sighted, and there’s no denying that a lot of his motivation for removing class size caps is for economic gain. I remember my fourth grade year, our school was over capacity and the school had no choice but to over-fill the classes. I was in a class of 35 students, give or take. The teacher, who up until that year had been a resource teacher, was overwhelmed by our class every day. On more than one occasion she cried in class, as she had little authority over me and my classmates. I even remember getting detention multiple times that year; something that had never happened before, and shouldn’t have happened either. But my teacher was feeling challenged by the 35 kids in her class, and resorted to exiling anyone that acted out. I didn’t realize at the time but looking back it’s clear to me that much of the issues that year were a result of the class size, not the teacher. Obviously this is my own experience, but I’m sure lots of other students have been and will be experiencing this in the coming years. I feel like student safety is also being overlooked in this situation. One teacher can’t realistically have eyes on 23 or more students at once. The lifting of class size caps will only work to put students in jeopardy more than before. The only argument against smaller class sizes is based on financial grounds. Sacrificing student success for budget cuts just doesn’t seem worth it to me.